The Contingency Response Wing is a self-contained team made up of 116 United States Air Force personnel (with an additional 50 U.S. Army personnel if launched as part of a Joint Task Force) that sits a 12-hour response time as part of the DoD’s Global Response Force. The main limitation in the flexibility for the Contingency Response Wing is the aircraft required to move the entire team. 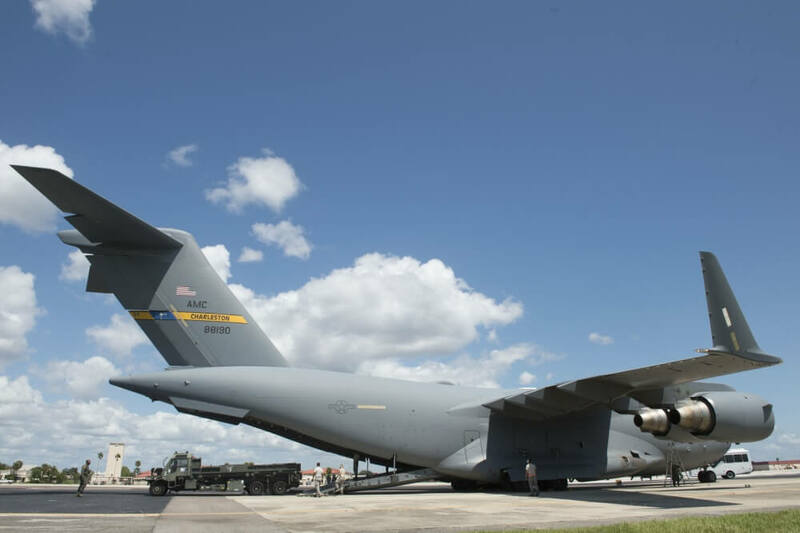 The current maximum aircraft requirement is 6 x C-17s which includes tents, HMMVs, trucks, forklifts, Halversons, and more. Any reduction in the overall footprint (1 pallet position at a time) is extremely advantageous and increases the flexibility, capability and readiness of the Global Response Force as a whole. The DoD lead for mobile power generation has been the U.S. Army, which has been focused on replacing the Mobile Electronic Power 805/806 with an improved version though without an emphasis on the overall size of the generator. Further, the majority of research done in the commercial field has been focused on the hybridization of generators, which usually enlarges the overall footprint of the generator. 2.1 Vendors interested in responding to this Request for Solutions must be members of the Training and Readiness Accelerator (TReX). Phase 1: A production-ready, in-field generator, with quick disconnect (for easy connection and disconnect to a truck if needed), on a standalone skid that can be stacked (2 high) with individual dimensions equal or less than 41.75” D x 51.75” W x 24.38” H per unit. It is desired to support a multivariable output of 30-60 KvM and provide USAGE standard 120V and 240V receptacles + Mil – Spec “J-Type” 8 wire plug. Finally, it is desired to have a fully integrated control system with display and intuitive touch face interface. Phase 2: Various deliverable “No Idle”, Simultaneous 1PH/3PH and other Telemetrics, to include updateable firmware, fuel management, maintenance scheduling, and data logging and analysis for fleet optimization. Additionally, validation of flex fuel technology. Phase 3: Self Teaching and learning generator systems to produce total cost out of operation and maintenance. Solar and Hybrid options to also be fielded as attachments to the generator. 4.1 This project will be managed by the 821st Contingency Response Support Squadron (CRSS) consisting of representatives from the Power Production office and the Director of Operations. The team will establish minimal standards of performance and will schedule phase performance and execution. 4.2 The prototype, once accepted will be further evaluated during routine exercises and home station exercises to include aircraft suitability and stackability. 4.3 The Government anticipates that a follow-on production contract or transaction may be awarded to the Vendor for this effort without the use of competitive procedures if the participants in this transaction successfully complete the prototype project as outlined within the awarded project from this document. Upon successful operational testing and evaluation of the delivered prototype, the CRW will look to purchase up to 75 additional mobile power generation units. 5.1 The Vendor’s proposed solution shall describe their approach to deliver a Mobile Power Generation prototype, as outlined in Section 3. 5.2 Please ensure any assumptions made are clearly stated in your response. 5.3 Intellectual Property and Rights in Technical Data: All IP and data rights are negotiable based on individual vendor solutions. It is the Government’s desire to receive government purpose rights to all development and deliverables of technical data and software funded under the transaction agreement, for at least a five-year period. The five-year period, or such other period as may be negotiated, would commence upon execution of the Other Transaction Agreement that required development of the items, components, or processes or creation of the data. Upon expiration of the five-year or other negotiated period, the Government would receive unlimited rights in the technical data. Government purpose rights means the right to use, modify, reproduce, release, perform, display, or disclose technical data and software within the Government without restriction; and release or disclose technical data and software outside the Government and authorize persons to whom release or disclosure has been made to use, modify, reproduce, release, perform, display, or disclose technical data and software for United States government purposes. Your response should clearly outline the appropriate rights in technical data and software that will be delivered with your solutions. 5.4 Anticipated Delivery Schedule: With the technical solution, the Vendor shall include the anticipated delivery dates for each phase. A one year or less timeline is considered an appropriate, realistic delivery timeframe for Phase 1. 5.5 Proposed Pricing and Milestone Payments: Vendors will submit a fixed amount price for their prototype solution, further divided into severable milestone payments as appropriate. Your pricing submission shall be submitted together with the technical response as an appendix. There is no limit to the page length for the pricing appendix, though it should be noted that cost detail is not being requested. 5.6 Provide your nontraditional* business status or your ability to meet the eligibility requirements of 10 U.S. Code § 2371b on the cover page of your response. Within your response, please check the following box which applies – with appropriate justification if applicable. There is at least one nontraditional defense contractor or nonprofit research institution participating to a significant extent in the project. All significant participants in the transaction other than the Federal Government are small businesses or nontraditional defense contractors. At least one third of the total cost of the project is to be provided by sources other than the Federal Government. 5.7 In addition to your nontraditional business status, the cover page of the response shall also include the company name, Commercial and Government Entity (CAGE) Code (if available), address, and primary point of contact including phone number and email address. The cover page does not count towards page count. Note: the Government reserves the right to post submitted questions and answers, as necessary (and appropriate) to facilitate vendor solution responses. 5.8 Responses shall be submitted no later than 12:00 PM EST on August 31, 2018. Your response should be submitted electronically to initiatives@nstxl.org, with “MPG” used in the subject line. Any submissions received after this time on this date may be rejected as late and not considered. 5.9 Technical responses shall not exceed 10 pages in length, utilizing standard 12-point font. Charts or figures directly relevant to the solution may be referenced and submitted as appendices and are not bound by the 12-point font requirement. Any pages submitted outside of this page length requirement, outside of standard charts and figures, will not be reviewed. Cover page does not count towards page count. 6.1 Individual responses will be evaluated with consideration given to the technical merit of the response, feasibility of implementation, and total project risk. The proposed project price, schedule, and data rights assertions will be considered as aspects of the entire response when weighing risk and reward. 6.2 The Government will award this project, via TReX, to the respondent(s) whose solution substantiates to be most advantageous to the Government, cost, schedule, technical risks and other factors considered. The Government reserves the right to award to a respondent that does not meet all of the requirements, but provides attributes or partial solutions of value, of the Request for Solutions. 7.1 The costs of preparing and submitting a response is not considered an allowable direct charge to any government contract or agreement. 7.2 Export controls: research findings and technology developments arising from the resulting project may constitute a significant enhancement to the national defense and to the economic vitality of the United States. As such, in the conduct of all work related to this effort, the recipient will comply strictly with the International Traffic in Arms Regulation (22 C.F.R. §§ 120-130), the National Industrial Security Program Operating Manual (DoD 5220.22-M) and the Department of Commerce Export Regulation (15 C.F.R. §§ 730-774). 7.3 Interaction and/or Disclosure with Foreign Country/Foreign National Personnel. The contractor should comply with foreign disclosure processes IAW Army Regulation 380‐10, Foreign Disclosure and Contacts with Foreign Representatives; Air Force Instruction 16-201 Air Force Foreign Disclosure and Technology Transfer Program; Department of Defense Directive (DoDD) 5230.11, Disclosure of Classified Military Information to Foreign Governments and International Organizations; and DoDD 5230.20, Visits and Assignments of Foreign Nationals. To view or download the request for solutions (RFS), click the following hyperlinked text.